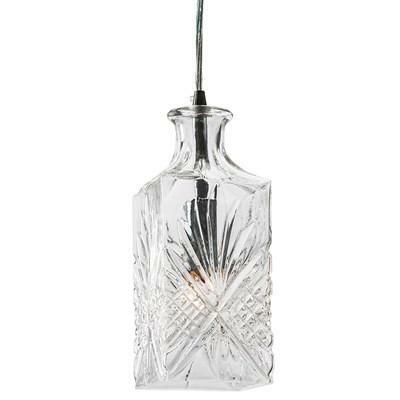 • Maximum distance from ceiling base: 128.5"
• Minimum distance from ceiling base: 10.8"
The Amarone Pendant from Nuevo features clear glass shade with embossed accents and a silver finish on the fixture. 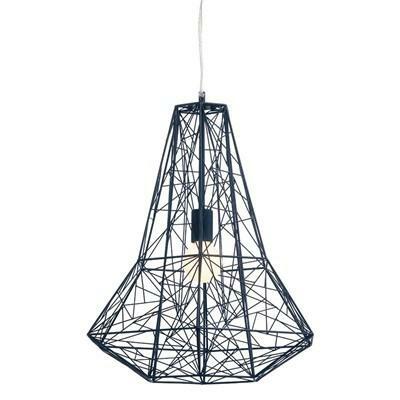 The Apollo Pendant from Nuevo features a webbed design, a matte Black finish and is made of steel. 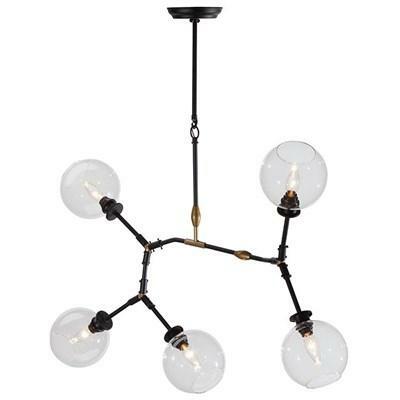 • Max Dist.Ceiling base: 98.5"
• Min Dist.Ceiling base: 25"
The Asaki Pendant from Nuevo features multiple hanging bulbs, a black finish on the fixture and is made of steel. 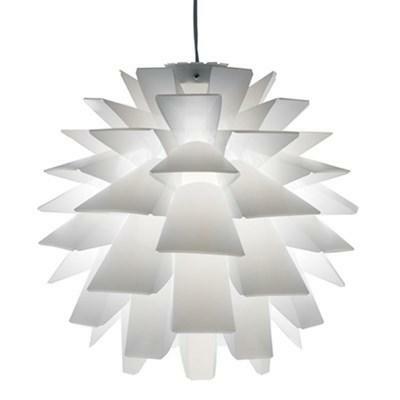 • Max Distance Ceiling base: 545"
• Min Distance Ceiling base: 133"
The Asparagus Pendant from Nuevo features a polypropylene shade and a white finish. 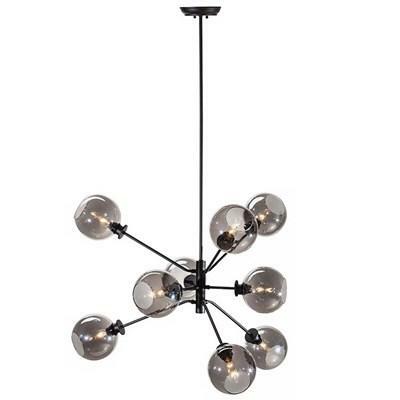 • Maximum distance from ceiling base: 52.8"
• Minimum distance from ceiling base: 28.3"
The Atom Pendant from Nuevo features nine round Grey glass shades, a Black finish on the fixture and is made of steel. 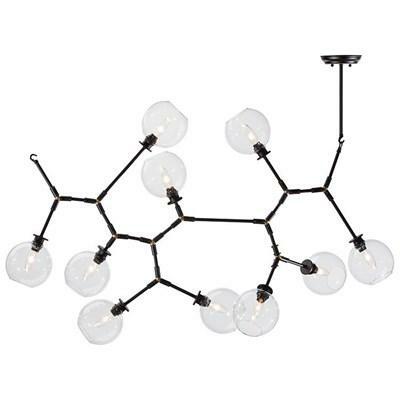 • Maximum distance from ceiling base: 45.8"
• Minimum distance from ceiling base: 27.8"
The Atom Pendant from Nuevo features nine round clear glass shades, a Black finish on the fixture and is made of steel. 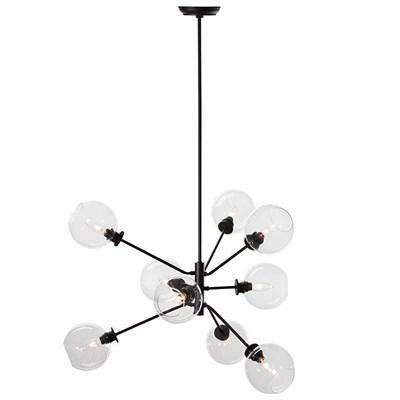 • Maximum distance from ceiling base: 47.5"
• Minimum distance from ceiling base: 37.5"
The Atom-10 Pendant from Nuevo features ten round grey glass shades, a Black finish on the fixture and is made of steel. 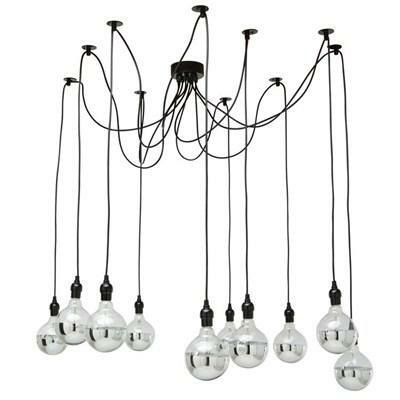 The Atom-10 Pendant from Nuevo features ten round clear glass shades, a Black finish on the fixture and is made of steel. 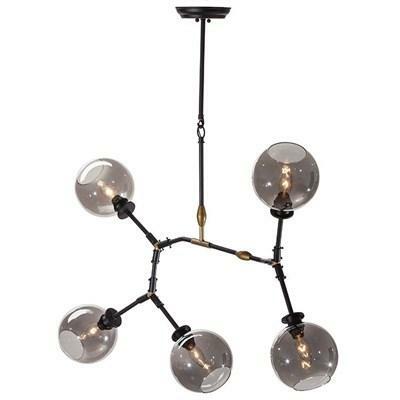 • Maximum distance from ceiling base: 37.8"
• Minimum distance from ceiling base: 31.8"
The Atom-5 Pendant from Nuevo features five round Grey glass shades, a Black finish on the fixture and is made of steel. 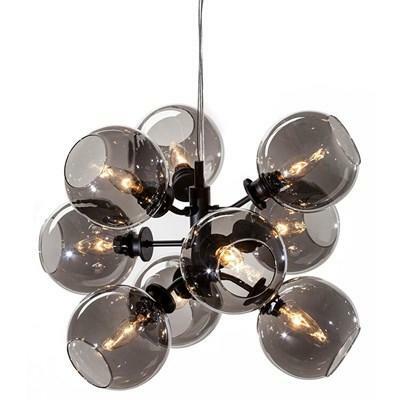 The Atom-5 Pendant from Nuevo features five round clear glass shades, a Black finish on the fixture and is made of steel. 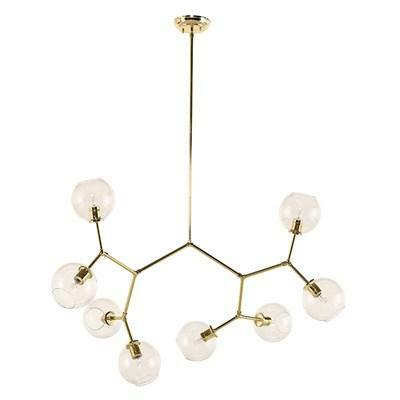 The Atom-8 Pendant from Nuevo features eight clear glass shades, a polished Gold finish and is made of steel. 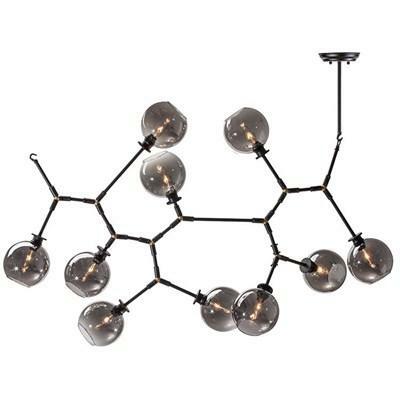 • Maximum distance from ceiling base: 114"
• Minimum distance from ceiling base: 17.8"
The Atom-9 Pendant from Nuevo features nine round Grey glass shades, a Black finish on the fixture and is made of steel.